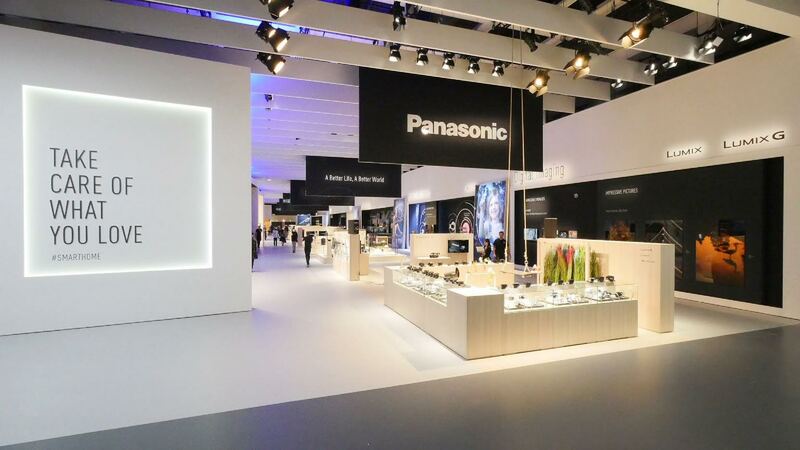 Dubai, United Arab Emirates: Panasonic will exhibit its latest products and technologies at IFA (Internationale Funkausstellung) 2016, happening in Berlin from September 2 until 7. Under the theme “A Better Life, A Better World,” the Panasonic booth will highlight lifestyle solutions for the future at IFA, one of the biggest trade shows for consumer electronics and home appliances in the world. Panasonic is exhibiting a wide range of products, from audio-visual equipment to home appliances and beauty appliances to feature “the lifestyles we all desire”. A major attraction at Panasonic’s booth located in Hall 5.2, is the interactive presentation of its first smart city project in Germany, which will include the smart energy, smart mobility, smart security, smart health, and smart citizenship solutions. Panasonic recently announced that it will be playing a key role in setting up the smart residential project “Future Living Berlin” in the German capital’s Adlershof district. Panasonic has also entered into a partnership with Berliner Philharmoniker (BPH), one of the world’s most eminent orchestras, to explore opportunities in bringing a premium and authentic live concert hall experience to the home and in-car environment. The company will support the Berliner Philharmoniker’s internet video platform, the Digital Concert Hall (DCH). BPH will collaborate with Technics, the high-end audio brand of Panasonic. Some of the cutting-edge technologies by Technics will be featured with the latest audio-visual technologies at IFA. Panasonic LIVE@IFA2016 will also feature live video feed of the event at the venue. envisaged by sharing the space with loved and special ones. Multipurpose space allowing to share experiences – This corner will feature a simple, interactive, and harmonious living environment in a manner that reflects personal preferences in daily life. The spatial environment can be changed depending on personal behaviour to ensure comfort and to produce unexpected excitement anywhere. cupboard doors or sliding doors. The displays show images only when necessary. changes the atmosphere depending on the situation. Equipment and services that reflect personal preferences and increase satisfaction – This corner will feature a living environment that enables access to appropriate information and offers support on various occasions in daily life. The cooking experience helps to enjoy meals and conversation. temperature and humidity. A transparent display is used as the door to show a variety of information such as information about the drinks inside and recipes of dishes that go well with them. Panasonic’s range hoods achieve accurate sensing of cooking conditions. The temperature of induction hobs is properly controlled to get professional-level cooking at home. The progress of cooking can also be checked. ingredients. The cooker presents a new cooking experience that keeps freshly cooked dishes hot and tasty until the end of a meal. temperature, so that multiple dishes can be completed simultaneously. Great food makes your party with special ones even more special. The home controller is designed to control all home appliances, including lighting, and provide helpful information. For example, the controller also detects and lets users know what is left in the refrigerator. It is connected to the cloud via a home server to support various aspects of daily life. introduced in five settings and presentations. This corner will introduce a DECT-compatible home network system that easily establishes a connection between a smartphone and the home. Also exhibited will be optional products including indoor and outdoor cameras, open/close sensors, occupancy sensors, and smart plugs with a built-in sensor. The lineup of Panasonic LUMIX digital cameras and video cameras will be on display. Panasonic’s product experts will be on hand to offer consulting services. All products on display here will be available for visitors to try out and experience first-hand. HC-X1 is the world’s first* video camera with a 1-inch sensor that features a wide-angle (24 mm)/optical 20x zoom lens. This new 4K 60p/50p video camera that meets professional needs will be on display. This corner will feature DMC-TZ100 and other LUMIX cameras to introduce the Focus Select feature, which allows the focus position to be freely adjusted after the photo is taken, and the 4K PHOTO feature, which enables the user to select a frame from a 30-fps image sequence and create a photo. its Ultra HD Premium* TVs and a Blu-ray Disc players. This corner will highlight the high-quality picture quality of Panasonic’s 4K Pro HDR DX-series line-up, with accurate color thanks to Panasonic’s proprietary image processing technologies, and fine-tuning by a leading Hollywood colorist. Panasonic’s Art & Interior design concept for 2016 TVs which aims to harmonize them within our living environments is displayed and explained. Panasonic will also exhibit a prototype OLED TV, in addition to various other futureTV technologies. In addition to the high-end DMP-UB900, the DMP-UB700 which will be released from October 2016 in Europe, will also be exhibited. Both models are ULTRA HD Premium* certified and thus deliver the best 4K/HDR experience available. sound by vibrating the bottom face of the cabinet, and achieves a 360-degree sound field. protocol, which uses Wi-Fi to play music simultaneously on several devices in the house. Various products will be on display to present a new audio experience at home, including the SC-ALL7CD featuring a flat design that achieves both high sound quality and compactness with Hi-Res compatibility, and the SC-ALL05, the first waterproof product in the series with a built-in battery. quality headphones featuring a fashionable design and color variations, etc. This corner will introduce products that play Hi-Res audio files with high resolution and quality, such as SC-PMX100/70 micro audio systems, RP-HD10/6M headphones, and RP-HDE10 inside phones. presented in a special space. steamer. #SnSnap, an SNS photo printing service, will also be available here. personalized trim length, and the ER-GC71 hair trimmer. September 2016 in Europe), and the EW-DL83 will be available for try out. be cooked using Panasonic’s kitchen appliances will also be introduced. On display will be the NN-DS596 microwave oven, the SD-ZB2512 bread maker, the MJ-L500 slow juicer, the MX-ZX1800 high-power blender (to be released in September 2016 in Europe), and the MK-F800 food processor. Visitors will also be able to learn about a fresh and healthy eating lifestyle that can be readily practiced. demonstrations showing humidity and nutrient control technologies to maintain freshness. A lineup of side-by-side refrigerators along with their sleek design will also be introduced. and grilled dishes. The food will be available for tasting. temperature control. Panasonic’s proprietary technologies to provide optimum temperature control for cooking will be introduced using a skeleton model and video. Also on display will be a prototype of the KY-T937VF induction hob (to be released in March 2017 in Europe). that is designed to create next-generation Hi-Fi sound. technologies, with each part carefully crafted. Hi-Res audio files download service, etc. In addition to the smart city project in which Panasonic is involved, the company’s five proprietary solutions that underpin the smart city project will be introduced using panels and dioramas. These solutions include smart energy, smart mobility, smart security, smart health, and smart citizenship. solutions for customers in residential, non-residential, mobility and personal applications. Since its founding in 1918, the company has expanded globally and now operates around 500 consolidated companies worldwide, recording consolidated net sales of 7.74 trillion yen for the year ended March 31, 2014. Committed to pursuing new value through innovation across divisional lines, the company strives to create a better life and a better world for its customers.